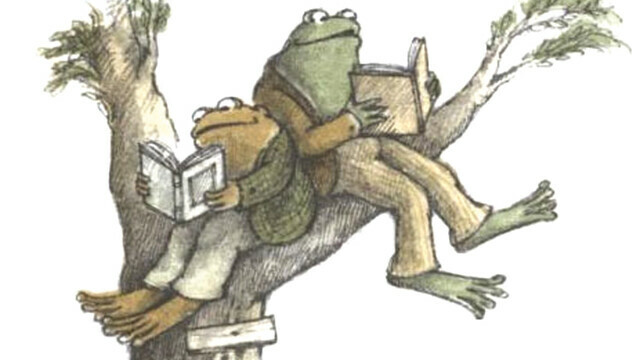 Frog & Toad, as they appear in the popular children’s books. The classic kids books Frog & Toad by Arnold Lobel are about two friends who are very different from one another, but they make it work. And now it has it’s own musical adaptation for the stage coming to Mabel Tainter Center for the Arts in Menomonie April 10, 11, 17, and 18. The show follows the friendly, relaxed Frog and the uptight, messy Toad over the course of a whole year, where the friends experience each season and all the hijinx that goes with it. The family-friendly musical is a story about how even though some people might be different from you, that doesn’t mean you can’t be friends. See? Not so cold-blooded after all.